If youai??i? 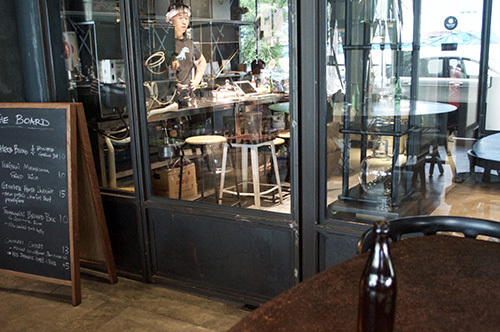 ?re looking for good food and great coffee in the Beauty World area, look no further than Necessary Provisions (NP), a cosy neighbourhood cafe nestled in Eng Kong Park. 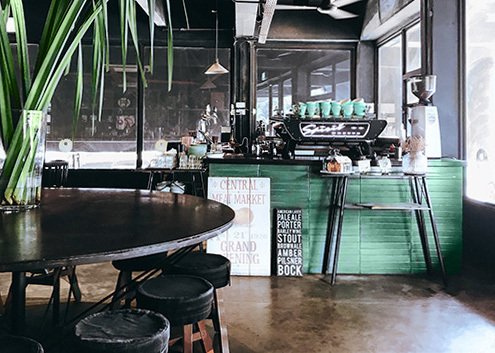 Occupying a corner along a quaint line of shops, this casual coffee spot serves as a hideaway from the hustle and bustle of city life. 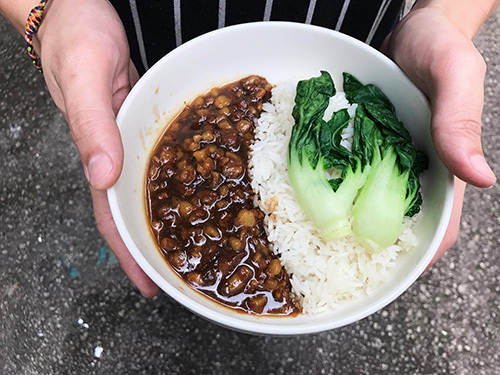 Founded by Darren Chang and Goh Puey Hang, Necessary Provisions began in 2012 as a pop-up cafe in Holland Grove, called Henry Congressional. The concept later materialised into a permanent establishment in 2013. 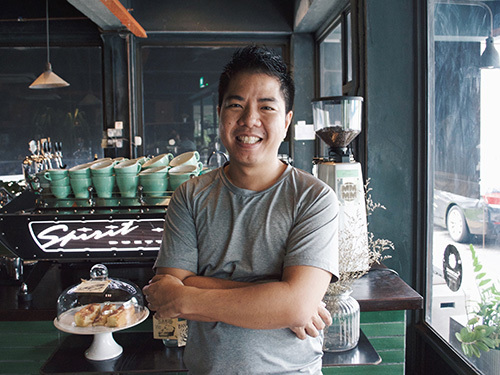 Prior to Henry Congressional, Darren had also founded Smitten Coffee & Tea Bar with his wife, and now runs it as a wholesale coffee and tea supplier under Smitten Coffee and Tea, whose products are also served at NP. This week, weai??i? ?ll get to know Darren, the co-founder and roaster of Necessary Provisions. Whatai??i? ?s the story behind how you got into making coffee? Iai??i? ?ve been a regular coffee drinker since my school days. Back then, I drank mostly instant coffee or kopi as I had no knowledge about specialty coffee. However, while pursuing my university studies in London, I discovered many good coffee houses around the area, and learnt about specialty coffee as a result. Hence, I decided to get my own espresso machine when I returned to Singapore and started work. I felt that the variety of coffee beans from other suppliers was quite limited, so I bought a home roaster to roast my own beans as I had read stories about self-taught roasters online. Coffee-making gradually became a serious hobby of mine, and the rest is history! Why did you start Necessary Provisions? My partner, Goh P and I had an idea for a neighbourhood cafe concept that serves not only good coffee, but also fine teas, homemade food and craft beers! Thatai??i? ?s how Necessary Provisions came about. The cosy-looking interior of NP. Is there a particular reason for your choice of location? After we gained a following in the West owing to Henry Congressional, we decided to scout the area for neighbourhoods where we could set up our new concept. Thatai??i? ?s how we discovered Eng Kong Terrace, which we found to be a charming neighbourhood. Since there were no cafes in this area yet, we decided to open Necessary Provisions here. 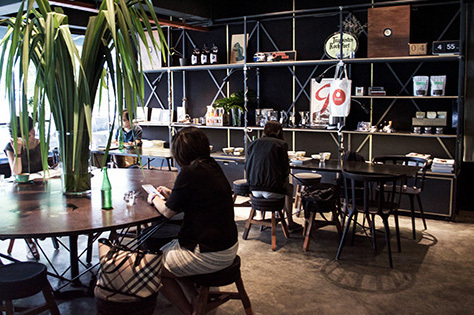 What inspired the interior look of your cafe? We have several communal tables to encourage communal dining! I believe that by meeting someone new and starting a conversation over a meal, your dining experience would be made more interesting. Aside from that, we have a large kitchen space to allow our cooksai??i?? creative juices to flow. There are also glass panels that allow you to see into the kitchen, so you get to witness the love that goes into your food! Glass panels allow a behind-the-scenes look into the kitchen! What inspired the name ai?? ?Necessary Provisionsai??i??? The name alludes to what we do, which is to provide food and beverages that are necessary to all of us. We donai??i? ?t envision ourselves as a fancy restaurant; instead, we want this place to be a retreat, where anyone can drop by and unwind with their favourite food and drinks. What are some challenges youai??i? ?ve faced in starting this cafe? Staffing is a common issue faced by many F&B businesses, in which we are no exception. Weai??i? ?ve also faced some difficulty in garnering a larger crowd, due to our rather inaccessible location. Another challenge was encouraging an acceptance of specialty coffee. In the early days, there were numerous customers who couldnai??i? 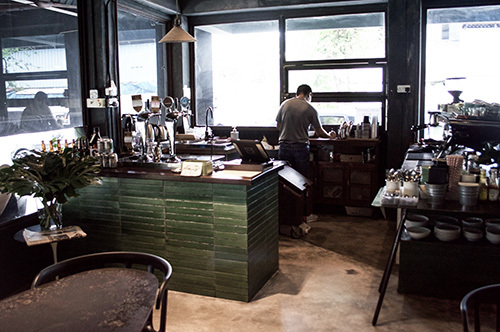 ?t enjoy our coffee as they were more accustomed to the kopi taste. Hence, we sought to educate them on the authentic flavours and acidity of the coffee. Iai??i? ?m thankful that thereai??i? 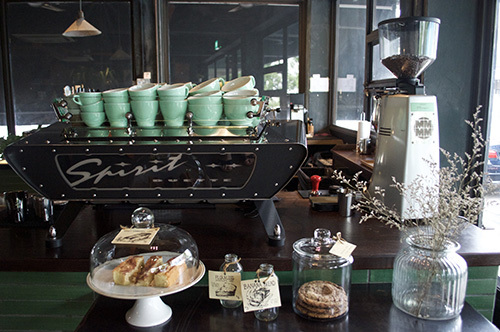 ?s a greater appreciation for specialty coffee now! What is your roasting style like? I used to roast coffee rather light, as I preferred it with more acidity. Over the years, however, I began to steer towards medium roasts, in order to achieve a taste that works well in both black coffee and coffee with milk. I aim to strike a balance between the coffeeai??i? ?s acidity and its other flavours. Of all the coffees youai??i? ?ve roasted, which one is your favourite? I like Ethiopian and Kenyan coffees the most! Ethiopian coffees often have a delicate floral or citrusy flavour, with notes such as orange and jasmine. When brewed as black coffee, it tastes similar to tea, which is why I enjoy it so much! I also like that it surprises me often with new flavours. Kenyan coffees taste quite similar to Ribena, due to its flavours of blackcurrant and berries! Hence I find Kenyan coffee very enjoyable as well. What coffees are you currently offering? We have a house blend, Thumper, consisting of El Salvador and Colombia beans. For brew bar pour overs, we use seasonal single origin coffees. Our current selection is a Ethiopian natural process coffee. Whatai??i? ?s the concept behind your food menu? What items do you recommend from it? Our menuai??i? ?s concept is simple comfort food! We take inspirations from home recipes, childhood delights, and sometimes our travels, and present food in an uncomplicated way. Iai??i? ?d recommend trying the sambal fried rice and pastas. We also have a seasonal menu board that changes according to whatai??i? ?s available on the market, as well as food inspirations from our travels! 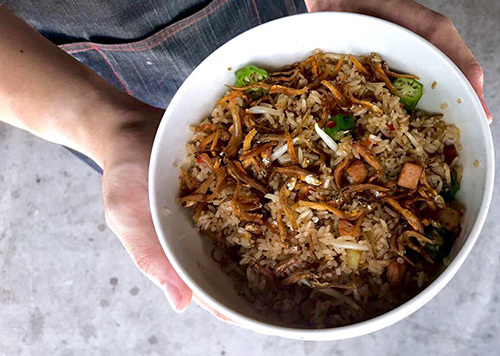 A recommended seasonal dish would be our Taiwanese Braised Pork Belly rice. 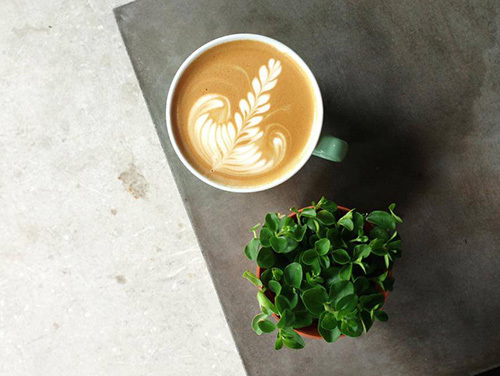 What has been the most rewarding part of your coffee journey so far? Itai??i? ?s definitely the relationships that Iai??i? ?ve built with people Iai??i? ?ve met along the way, be it co-workers, industry friends, or customers. The coffee industry is unique in that most of its competition is friendly, hence Iai??i? ?ve gotten to know many roasters and cafe owners personally! Besides that, we receive many regular customers due to our residential location, and itai??i? ?s always a joy to catch up with them whenever they visit, just like talking to a longtime friend! Iai??i? ?m also grateful for the friendships with our staff, and being a part of their lifeai??i? ?s events ai??i?? some of our early part-timers are now married with kids! Have you had any memorable interactions with your customers? There are too many to mention! What I love about the interactions is that we often become well acquainted with the happenings in our customersai??i?? lives, such as their recent vacations, their recent marriage and even their petsai??i?? names! Just two months ago, a regular came to our cafe to take her wedding photographs - itai??i? ?s moments like these that are the most heartening. Our relationships with customers are almost like personal ones, and I treasure that very much. What plans do you have in the future for NP? Weai??i? 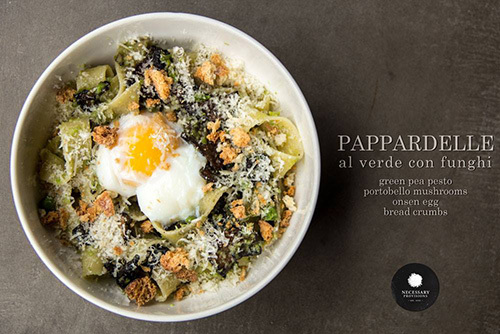 ?ll continue to serve the neighbourhood, and develop new dishes for our seasonal food menu!